Escape rooms are a concept that had their origins, not surprisingly enough, in video gaming. In these games, the players had to solve various puzzles in order to be able to get out of the room they were in and progress through the levels. Crimson Room by Toshimitsu Takagi was the first game of this type and was released in 2004. In 2007, Scrap, a Japanese company, decided that it was time to test this concept in a real-world setting. This meant taking the Takagim from the computer screen and creating an event. The idea was simple – players would be led into themed areas and completely immersed in gameplay. They would literally have to solve the puzzles and interact with other players in order to find their ways out of the rooms. It wasn’t long before the idea took root and escape fever swept across the whole of Asia. It reached its pinnacle in China in 2012 with the founding of the Beijing Takagism group. By that time, the idea had started to gain traction in Europe as well. Parapark, founded in Budapest was the first company of its type to offer this form of entertainment outside of Asia. Whilst the concept was pretty commonly accepted in Asia, it was completely unknown in Hungary. It was only later that the founder of the company learned that the sport was already popular in Asia. Attila, the founder of Parapark, did, however, take a slightly different approach to the project. Instead of being purely for fun, these games were designed as team building exercises. Hint Hunt was the first franchise of the concept to start up In Hungary. In 2012, though, Scrap decided to set its sights on the international stage. 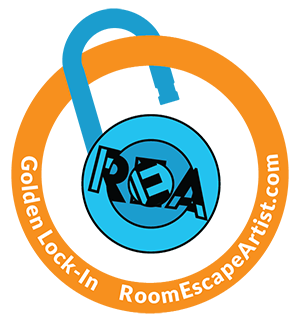 They offered franchises under the guise of the “Real Escape Game” in the United States and so expanded out that way. How Popular is it Today? The early success of the model proved to be just a small inkling of the overall success. There are now hundreds of escape rooms operating all across the world. With more being opened all the time. Sure, and that is what makes the games exciting no matter where you play them. In Asia, for example, the focus is more on the competition itself. Who comes up with the answer the fastest? Who ends up winning the game. The history of escape rooms is a varied one. One befitting a gaming experience that can be completely different from one game to the next. Whether you want to focus on finding hidden treasure or solving puzzles, you will find an escape game room that will thrill you. See our post on why escape rooms are great for first dates!